A few months ago I got in front of the camera for a what's in my bag video. 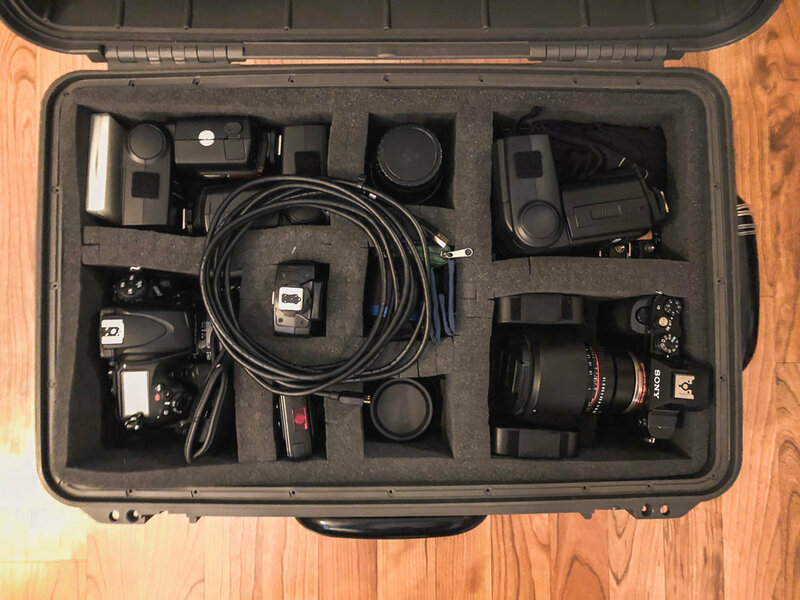 At the time, I had just purchased my Seahorse SE920 case and was trying to figure out what equipment I considered a necessity when I'm going out for a photoshoot. I thought I would revisit the topic this month and maybe again later in 2018 just to see how things change. Although the images below showcase much of the equipment that I generally carry, it is short some of the lighting equipment that I often use. I think that's a great place to start, and then we can break down the things that fit into the case. Typically, I carry a Neewer 24 inch square soft box that's become my go to modifier. To hold this setup together I'm using a Manfrotto Nano light stand because it's small and portable. That's just about it. I like to keep things pretty well simple and go back to what works. So, let's get to it: what's in my bag - case - in early 2018? Portability and durability are of the highest importance to me. This ultimately lead me in the direction of the Seahorse case, which I was initially nervous would be blocked from being considered a carry-on during flights. To date, I have been able to travel with Southwest without issues, although I don't know if that's been a fluke, or how it compares to other airlines. I keep this thing packed pretty tight, just in case there's something I need. I've always believed it's better to be safe than sorry. Here's what's on me right now.